Pebble Ash Metallic 2005 Mazda Mazda6 i All New MAZDA of PALM BEACH. Located on corner of Alternate A1A and NorthLake Blvd in North Palm Beach. 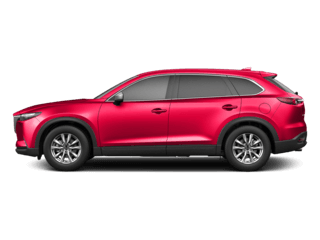 We carry a large selection of pre-owned vehicles and we use fair market value pricing for all our vehicles. Internet price reflects a $995 discount for taking same day delivery with dealer arranged financing. Plus Tax and Fees and Documentary Charge. Certicare limited powertrain warranty Available on 2013 and new model year vehicles with less then 80k mileage please see dealer for complete details. Gunmetal Blue 2011 Mazda Mazda3 i All New MAZDA of PALM BEACH. Located on corner of Alternate A1A and NorthLake Blvd in North Palm Beach. We carry a large selection of pre-owned vehicles and we use fair market value pricing for all our vehicles. Internet price reflects a $995 discount for taking same day delivery with dealer arranged financing. Plus Tax and Fees and Documentary Charge. Certicare limited powertrain warranty Available on 2013 and new model year vehicles with less then 80k mileage please see dealer for complete details. 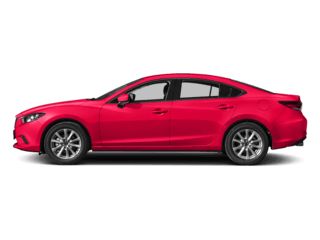 soul red metallic 2017 Mazda Mazda3 Sport All New MAZDA of PALM BEACH. Located on corner of Alternate A1A and NorthLake Blvd in North Palm Beach. We carry a large selection of pre-owned vehicles and we use fair market value pricing for all our vehicles. Internet price reflects a $995 discount for taking same day delivery with dealer arranged financing. Plus Tax and Fees and Documentary Charge. 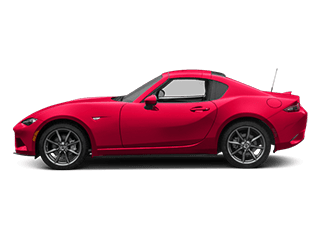 Certicare limited powertrain warranty Available on 2013 and new model year vehicles with less then 80k mileage please see dealer for complete details. Sonic Silver Metallic 2017 Mazda Mazda3 Sport All New MAZDA of PALM BEACH. Located on corner of Alternate A1A and NorthLake Blvd in North Palm Beach. We carry a large selection of pre-owned vehicles and we use fair market value pricing for all our vehicles. Internet price reflects a $995 discount for taking same day delivery with dealer arranged financing. Plus Tax and Fees and Documentary Charge. Certicare limited powertrain warranty Available on 2013 and new model year vehicles with less then 80k mileage please see dealer for complete details. Liquid Silver Metallic 2016 Mazda Mazda3 i All New MAZDA of PALM BEACH. Located on corner of Alternate A1A and NorthLake Blvd in North Palm Beach. We carry a large selection of pre-owned vehicles and we use fair market value pricing for all our vehicles. Internet price reflects a $995 discount for taking same day delivery with dealer arranged financing. Plus Tax and Fees and Documentary Charge. Certicare limited powertrain warranty Available on 2013 and new model year vehicles with less then 80k mileage please see dealer for complete details. Snowflake White Pearl 2017 Mazda Mazda3 Sport All New MAZDA of PALM BEACH. Located on corner of Alternate A1A and NorthLake Blvd in North Palm Beach. We carry a large selection of pre-owned vehicles and we use fair market value pricing for all our vehicles. Internet price reflects a $995 discount for taking same day delivery with dealer arranged financing. Plus Tax and Fees and Documentary Charge. Certicare limited powertrain warranty Available on 2013 and new model year vehicles with less then 80k mileage please see dealer for complete details. machine gray metallic 2017 Mazda Mazda3 Sport All New MAZDA of PALM BEACH. Located on corner of Alternate A1A and NorthLake Blvd in North Palm Beach. We carry a large selection of pre-owned vehicles and we use fair market value pricing for all our vehicles. Internet price reflects a $995 discount for taking same day delivery with dealer arranged financing. Plus Tax and Fees and Documentary Charge. Certicare limited powertrain warranty Available on 2013 and new model year vehicles with less then 80k mileage please see dealer for complete details. 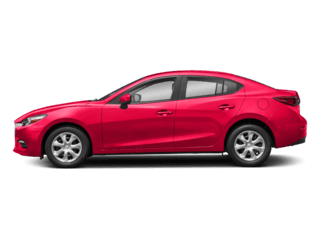 Crystal Blue 2016 Mazda Mazda3 i All New MAZDA of PALM BEACH. Located on corner of Alternate A1A and NorthLake Blvd in North Palm Beach. We carry a large selection of pre-owned vehicles and we use fair market value pricing for all our vehicles. Internet price reflects a $995 discount for taking same day delivery with dealer arranged financing. Plus Tax and Fees and Documentary Charge. Certicare limited powertrain warranty Available on 2014 and new model year vehicles with less then 80k mileage please see dealer for complete details. Meteor Gray 2015 Mazda Mazda3 i All New MAZDA of PALM BEACH. Located on corner of Alternate A1A and NorthLake Blvd in North Palm Beach. We carry a large selection of pre-owned vehicles and we use fair market value pricing for all our vehicles. Internet price reflects a $995 discount for taking same day delivery with dealer arranged financing. Plus Tax and Fees and Documentary Charge. Certicare limited powertrain warranty Available on 2013 and new model year vehicles with less then 80k mileage please see dealer for complete details. 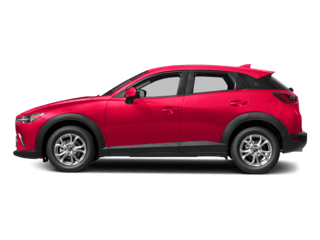 soul red metallic 2015 Mazda Mazda3 i All New MAZDA of PALM BEACH. Located on corner of Alternate A1A and NorthLake Blvd in North Palm Beach. We carry a large selection of pre-owned vehicles and we use fair market value pricing for all our vehicles. Internet price reflects a $995 discount for taking same day delivery with dealer arranged financing. Plus Tax and Fees and Documentary Charge. Certicare limited powertrain warranty Available on 2013 and new model year vehicles with less then 80k mileage please see dealer for complete details. 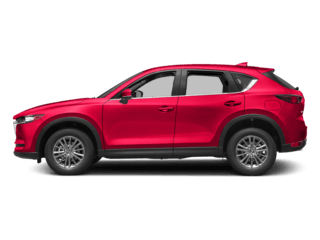 Sonic Silver Metallic 2016 Mazda CX-5 Touring All New MAZDA of PALM BEACH. Located on corner of Alternate A1A and NorthLake Blvd in North Palm Beach. We carry a large selection of pre-owned vehicles and we use fair market value pricing for all our vehicles. Internet price reflects a $995 discount for taking same day delivery with dealer arranged financing. Plus Tax and Fees and Documentary Charge. Certicare limited powertrain warranty Available on 2014 and new model year vehicles with less then 80k mileage please see dealer for complete details. Meteor Gray 2016 Mazda Mazda3 i All New MAZDA of PALM BEACH. Located on corner of Alternate A1A and NorthLake Blvd in North Palm Beach. We carry a large selection of pre-owned vehicles and we use fair market value pricing for all our vehicles. Internet price reflects a $995 discount for taking same day delivery with dealer arranged financing. Plus Tax and Fees and Documentary Charge. Certicare limited powertrain warranty Available on 2014 and new model year vehicles with less then 80k mileage please see dealer for complete details. Snowflake White Pearl 2017 Mazda Mazda6 Touring All New MAZDA of PALM BEACH. Located on corner of Alternate A1A and NorthLake Blvd in North Palm Beach. We carry a large selection of pre-owned vehicles and we use fair market value pricing for all our vehicles. Internet price reflects a $995 discount for taking same day delivery with dealer arranged financing. Plus Tax and Fees and Documentary Charge. Certicare limited powertrain warranty Available on 2013 and new model year vehicles with less then 80k mileage please see dealer for complete details. Jet Black 2017 Mazda Mazda6 Touring All New MAZDA of PALM BEACH. Located on corner of Alternate A1A and NorthLake Blvd in North Palm Beach. We carry a large selection of pre-owned vehicles and we use fair market value pricing for all our vehicles. Internet price reflects a $995 discount for taking same day delivery with dealer arranged financing. Plus Tax and Fees and Documentary Charge. Certicare limited powertrain warranty Available on 2013 and new model year vehicles with less then 80k mileage please see dealer for complete details. 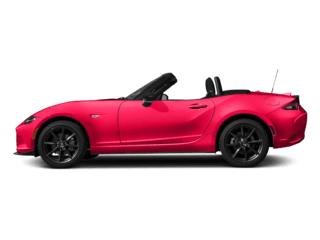 Jet Black 2017 Mazda Mazda3 Touring All New MAZDA of PALM BEACH. Located on corner of Alternate A1A and NorthLake Blvd in North Palm Beach. We carry a large selection of pre-owned vehicles and we use fair market value pricing for all our vehicles. Internet price reflects a $995 discount for taking same day delivery with dealer arranged financing. Plus Tax and Fees and Documentary Charge. Certicare limited powertrain warranty Available on 2013 and new model year vehicles with less then 80k mileage please see dealer for complete details. Snowflake White Pearl 2016 Mazda Mazda3 i All New MAZDA of PALM BEACH. Located on corner of Alternate A1A and NorthLake Blvd in North Palm Beach. We carry a large selection of pre-owned vehicles and we use fair market value pricing for all our vehicles. Internet price reflects a $995 discount for taking same day delivery with dealer arranged financing. Plus Tax and Fees and Documentary Charge. Certicare limited powertrain warranty Available on 2014 and new model year vehicles with less then 80k mileage please see dealer for complete details.